Wolverhampton's mainstay in painting and decorating supplies. Based in the heart of Wolverhampton S. J. Dixon and Son Ltd. First opened their doors in 1854 and have remained a family run decorating supplier ever since. The West Midlands home and Décor specialists now retail with two city centre stores. The flagship store on Cleveland Road and another smaller franchise store within Carvers building center in Wolverhampton. If you're looking for paint, paintbrushes, wallpaper, and decorator's tools in the West Midlands, you've come to the right place. 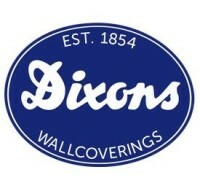 S.J Dixon and Son sell a wide range of decorating tools and supplies, paint, and wallpaper and wallcoverings, appropriate for both tradesmen and private purchase for individuals looking to spruce up their home. Through a continued effort to providing the largest range of Wallpaper, Wolverhampton's premier painting and wallpaper business are known for being the number one choice for great quality professional painting and decorating products. S.J Dixon and Sons have heavily invested in their staff. Each representative of the infamous home improvements brand are ready to delight each new customer that walks through the door with excellent product knowledge and thirst for finding you the ideal product. With over 160 years of experience in the painting & decorating business, S. J. Dixon and Son Ltd. are ready to welcome you inside, today.